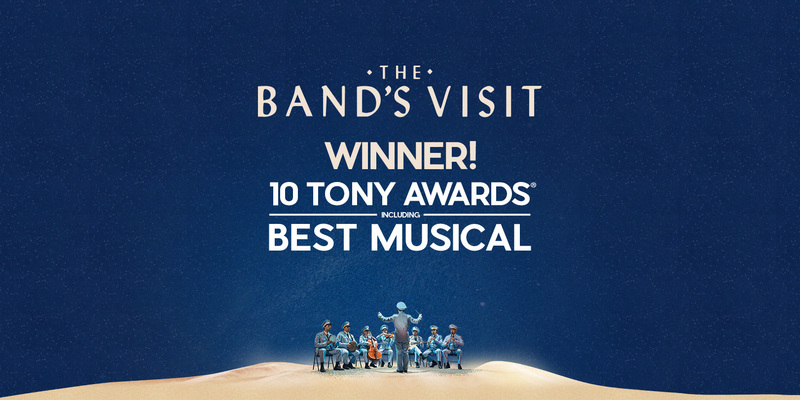 The Band’s Visit dominated the 72nd annual Tony Awards in New York winning 10 awards. The musical about unexpected connections in the Middle East and produced by Barbara Broccoli, took home Best Musical, Best Performance by an Actor in a Leading Role in a Musical (Tony Shalhoub), Best Performance by an Actress in a Leading Role in a Musical (Katrina Lenk) and Best Performance by an Actor in a Featured Role in a Musical (Ari’el Stachel). It also won Best Book of a Musical (Itmar Moses), Best Original Score (music & lyrics David Yazbek), Best Lighting Design (Tyler Micoleau), Best Sound Design (Kai Harada), Best Direction of a Musical (David Cromer) and Best Orchestrations (Jamshied Sharifi).